All of our photographs are printed on the highest quality lustre paper, giving you the richness and saturation of a glossy photograph, but without the headache of glare or fingerprints. 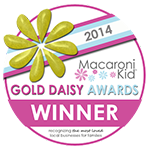 While our printing is done off-site, all of our editing, cropping and file preparations are done in-house. Every image is treated individually so you get the best product possible. Our standard turn-around time is 2-3 weeks, but items are often ready sooner! We will call you as soon as they’re ready to be picked up, and we are always happy to ship them to you. Interested in framing? We offer custom framing in a wide variety of options. Let us take care of all the hassle so you pick up your photograph ready to hang! 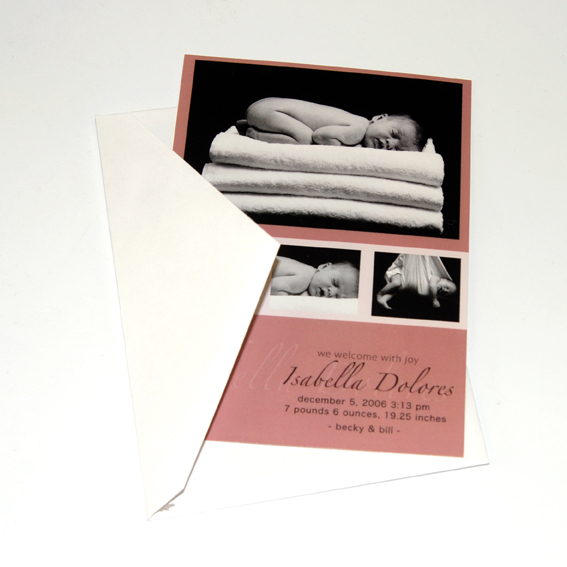 Birth announcements, holiday cards, invitations and save-the-dates are a few of the types of custom cards we can create! You are welcome to choose a style you see on display, or work with us to create a new design just for you– all of our cards are completely custom, and feature up to 4 images of your choice. 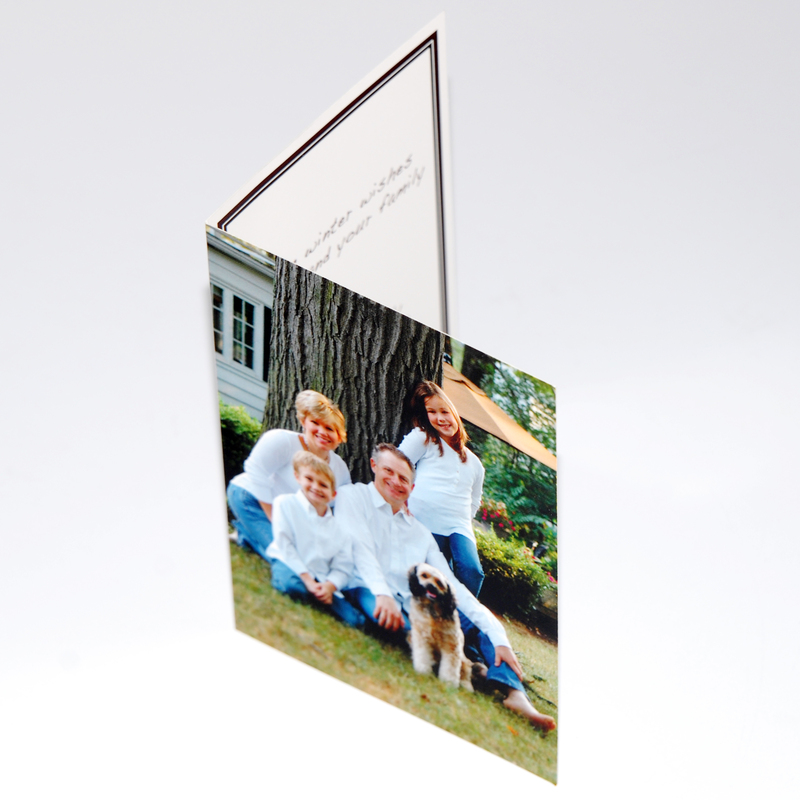 Available in flat or folded formats, you can choose the style that you like best. The cards are available in packs of 24, with a minimum of 2 packs. All card orders include white envelopes. Get a little competitive with your holiday card?? Come see us, and we’ll make sure yours is the talk of the town!